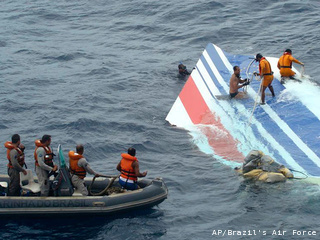 The French gendarmerie says that 75 more bodies have been pulled from the Atlantic Ocean in the past week, nearly two years after the crash of an Air France flight from Rio de Janeiro to Paris. 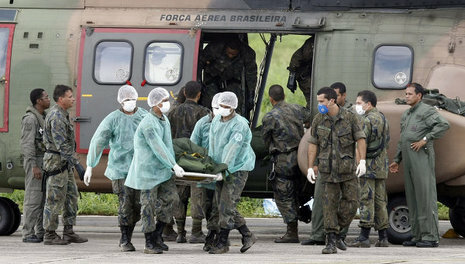 That brings the total number of bodies recovered since June 1, 2009, to 127. All 228 people aboard the plane died. The association said France's air accident investigation agency, the BEA, informed the relatives of the victims on Monday that the rescuers had recovered 77 additional bodies from the debris of the plane's fuselage after it was located in May at the depth of 3,900 meters. At least 75 bodies have been recovered from the wreckage of the Air France plane that crashed into the Atlantic Ocean two years ago, the vice president of the French victims' association said Tuesday.